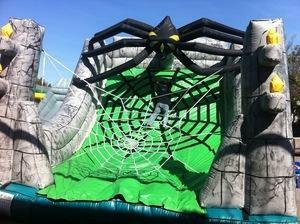 ITSY BITSY SPIDER......Dont be afraid of this huge Spiderweb Velcro Climb. Kids put on Velcro Gloves and climb to the top of the spiders web. Appox 1-2 users at a time.